We travel… a LOT. And if you’ve read some of my How to Travel with Kids series at all, you’ll know that I’m all for having a ton of activities for them on the plane to keep them quiet and sane… and to keep you and your fellow passengers happy. The Peanut is obviously a completely different ball of wax. She’s only 17 months old and still not really into doing anything for any length of time. This becomes difficult when strapped into a seat, hurtling 500 mph across the sky with the seatbelt sign on, because this is NOT part of her program. She wants to be up and running laps around the airplane, touching every.single.person, trying to wake up the ones who are going “NightNight” and giving the stink face to the ones to deign to answer her back when she says “Hi!”. She’s a handful, that one. Obviously, when it’s mandatory that we sit down, or I’m just plain exhausted from chasing, we use the iPad and the myriad of apps available to entertain her. But even with her fancy headphones and the awesome iPad case we got for her, she’s still got the attention span of a guppy. And that home button, ooooooh that home button. I curse the allure of that home button, because for her, it’s just.so.neccesary that it be touched and instead of peacefully and adorably watching Elmo, she watches two seconds and clicks the home button to turn it off. I turn it back onto Elmo and she immediately turns it off. I turn on Frozen, she turns it off… same with Monkeys Lunchbox, Little Einsteins and every.single.damn.thing I turn on for her. Pretty much once she found the home button she was like, woohoo, look what I can do and I’m constantly like, no look Elmo, you’re missing ELMOOOOOO!!! 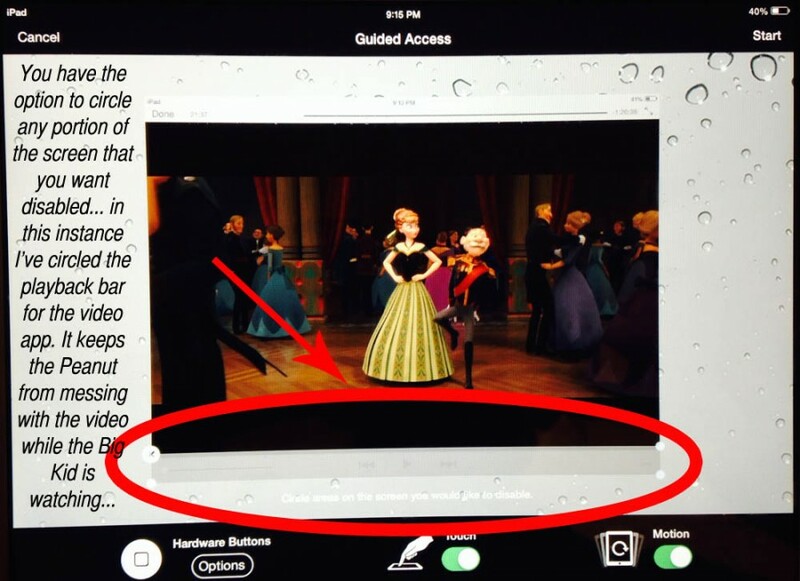 So imagine my surprise when I found out that you could LOCK the kiddos into an app?? Yup, that was the sound of your life changing. I may be the world’s biggest noob for just figuring this out, but did you know you can LOCK them into an app with a passcode? This means no learning apps that turn into Candy Crush, no Sesame Street that turns into a buying spree on iTunes and the security of knowing that if they want to play on the iPad, YOU CONTROL EVERYTHING. On your iPad, click on the Settings Icon, then open up the General tab. 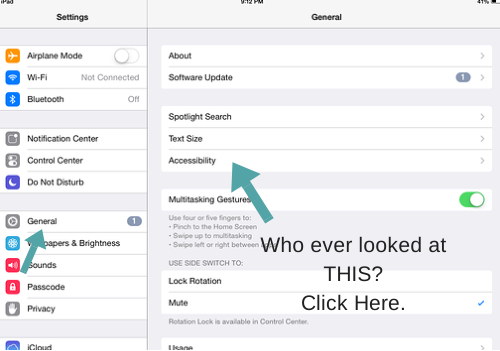 Once in General, click on Accessibility. I know, right? When was the last time you clicked on HALF of these options? 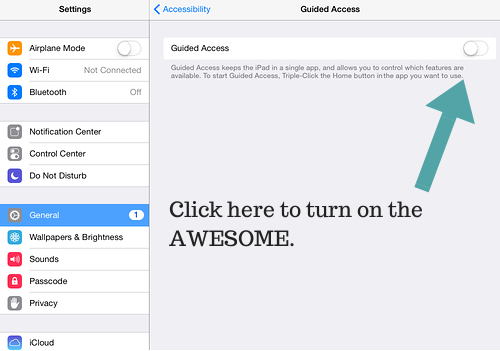 Once you click on Accessibility, scroll down and find Guided Access. Again, WHO KNEW?? Once you’ve set a passcode, you can click out of the settings tab and resume business as usual. 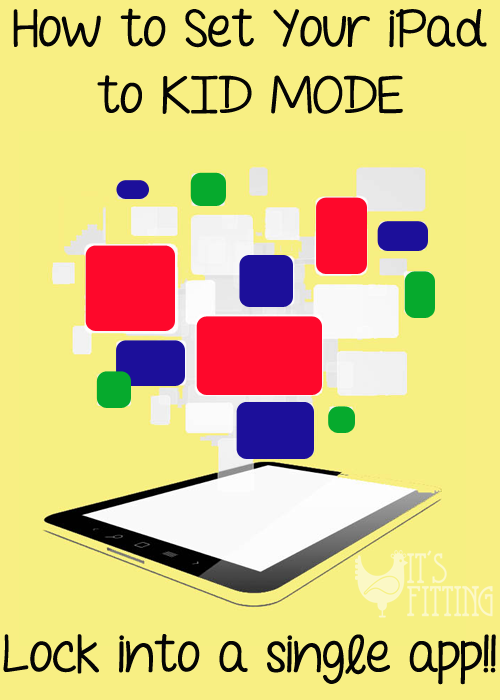 Find the app you’d like to use for your kids and open it up. 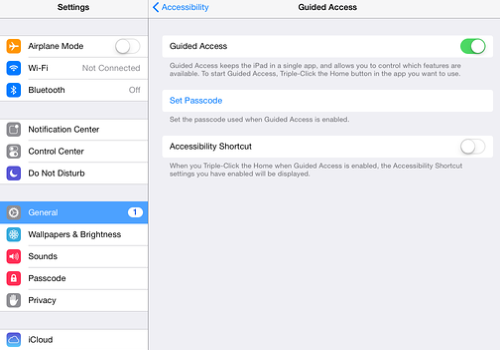 Once open, triple click on the home button and your guided access screen will pop up. 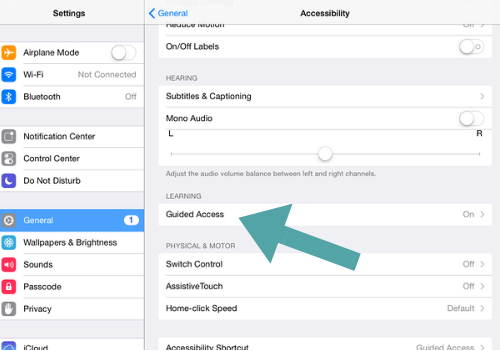 You’ll see the options to lock the screen, “Motion“, to keep it from changing when you touch it, “Touch” and the option to lock down the Hardware… This means you can’t change the volume, etc. It’s a sweet sense of victory when you thwart a small person’s efforts to mess with your program. Ultimately, we try to keep an eye on what the kids are watching/doing with their technology, but it’s always nice to have a backup. 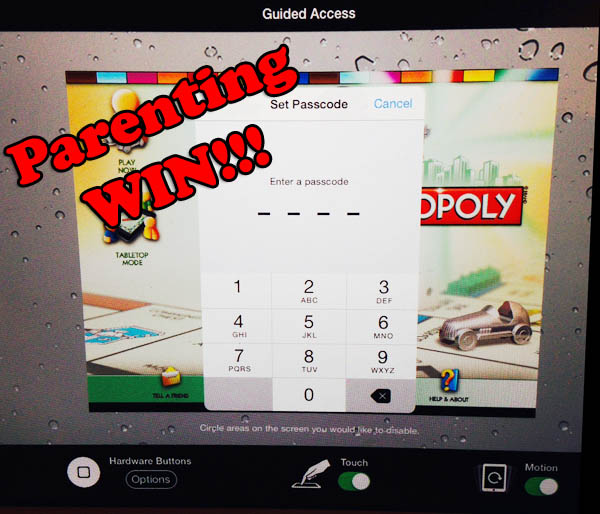 The Guided Access can be disabled with the passcode and then you don’t have to activate it unless you want to… and just a triple click will reactivate it on any app you want. This could keep them from buying new apps, clicking out of their reading homework, or just clicking that home button till you tear your hair out.